Henry Bastian is currently a manager in wildland fire with the Department of the Interior (DOI) in Boise, ID. He oversees and coordinates enterprise systems in vegetation management for the National Fire Plan and Operations System (NFPORS), Interagency Fuels Treatment Decision Support System (IFTDSS), and LF. Previously, he was the LF business lead in Washington, D.C. 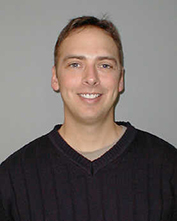 He led program performance measures reviews in connection with the DOI Strategic Plan and fire budget justifications, served as chair of the Woody Biomass Utilization Group (Woody BUG - an interagency and intergovernmental group under the National Energy Plan), and was the DOI wildland fire emergency management coordinator for Emergency Support Functions (ESF) under the National Response Framework (NRF). Prior to his LF role, Henry worked as a fire ecologist for the Great Basin and Colorado Plateau National Parks, where he led the fire ecology and fire effects monitoring programs. His experience includes all aspects of fire management from administration, budgeting, operations, and fuels activities. Early in his career, he worked at Bryce Canyon National Park in natural resources, wildlife, biological, and fire management and did non-native vegetation control for the state of Utah. He is a graduate of Snow College and Utah State University with a degree in fish and wildlife biology. He grew up on a dairy farm and enjoys time with family, travel, roller coasters, kayaking, ATV's, fishing, hunting, and other outdoor activities. Frank is currently employed by the U.S. Forest Service (USFS) as an applied fire ecologist in the Fuels and Fire Ecology Program, Fire and Aviation Management, Washington D.C. His responsibilities include USFS Business Lead for LF, and the Hazardous Fuels Programs. Frank has also worked in Utah, Oregon, and California with previous assignments including; forest planning, silviculturist, environmental coordinator, project planner, and hotshot firefighter. Temporary assignments have included; senior assistant to the Climate Change Advisors Office at the Washington Office (WO), Assistant Director for Fuels and Fire Ecology (WO), and District Ranger (Vernal, UT). Frank has a B.S. in forestry from Humboldt State University and did graduate work at the University of Washington. 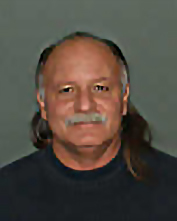 Frank is a certified fire ecologist, Association of Fire Ecology (AFE), and a certified silviculturist (USFS). In his free time Frank enjoys woodworking, running, hiking, and traveling. Dean is a GIS/geospatial specialist with the U.S. Geological Survey (EROS) Center, and is currently the USGS LF project manager. With a B.S. 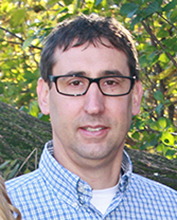 in geology from Winona State University (1996), he started his career working on a wide variety of GIS projects including developing BP's national GIS architecture. He enrolled in the Army ROTC while pursuing an M.S. in resource analysis/GIS from St. Mary’s University (1998) and was commissioned as a combat engineer before transferring to the U.S. Navy as an intelligence officer. After 9/11, Dean was mobilized to Stuttgart, Germany to serve as the European Command GIS Officer. A year later, he went on active duty for ten years as an intelligence/geospatial intel officer. Dean has extensive experience researching and producing geospatial products in a multitude of settings working closely with other branches of services and associated agencies. He joined LF in 2017 and looks forward to the opportunities and challenges that lie ahead for the LF Program and its stakeholders. 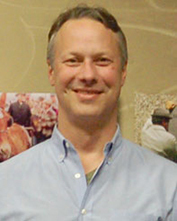 Kurtis Nelson is a physical scientist with the U.S. Geological Survey (USGS) and is currently the USGS LF Technical Lead. Kurtis works with the various technical teams within LF to help coordinate the various activities of each team. 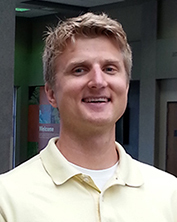 Kurtis has a strong background in remote sensing/GIS, data analysis, and wildfire research. He holds a M.S. in atmospheric sciences from South Dakota School of Mines and Technology. Birgit is a senior scientist with the U.S. Geological Survey (USGS) at the USGS Earth Resources Observation and Science (EROS) Center. She has a Ph.D. in geography from the University of Maryland. Birgit primarily supports LF existing vegetation mapping. Currently, she is exploring methods, by which lidar data can be incorporated into the LF canopy structure mapping process. Vivian is a geographer with the U.S. Geological Survey (USGS) Earth Resources Observation and Science (EROS) Center. She has a B.S. in geography from the University of Washington. She explores methods that lidar data can be incorporated into the LF canopy structure mapping process. Prior to joining LF in 2017, Vivian worked in lidar topographic data applied research since 2003. Her wide range of skills include survey grade Global Positioning System collection and data processing, ground-based lidar data collection and processing, geographic information systems technologies, and image processing. Jim is currently The Nature Conservancy (TNC) Project Lead for LF. He currently resides in Florida. Jim earned B.S and M.S. degrees in forestry from the University of Georgia, and a Ph.D. in forest biometrics and remote sensing from Virginia Tech. 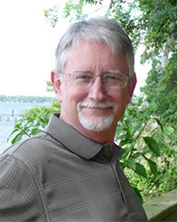 Jim spent 13 years on the Forestry faculty at Virginia Tech, and also worked in the commercial sector as the Director of Forest Information Systems development for Champion International Paper Company and International Paper Company. 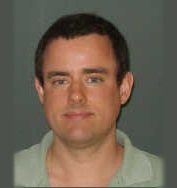 Jim has published in several peer-reviewed journals including; Fire Ecology, Forest Science, Photogrammetric Engineering and Remote Sensing, Canadian Journal of Forest Research and the Canadian Journal of Remote Sensing. 2011 International Spatial Accuracy Research Association named their early career scientist award after Jim Smith, the "James L. Smith Medal"
Jeff is the science project integration lead with KBRwyle, Technical Support Services Contract (TSSC) for the U.S. Geological Survey (USGS) Earth Resources Observation and Science (EROS) Center. He joined the LF Program in 2016. Jeff earned a B.S. in Geography with an emphasis in Atmospheric Science from Ohio State University, and a M.S. in Geosciences from Mississippi State University. He has supported a number of national and defense satellite programs that focused on remote sensing applications and the integration of sciences into technologies and applications for various user communities. He currently serves as a task lead for the LF TSSC staff. Jeff communicates regularly with the USGS LF Project Manager to ensure Program requirements are met. 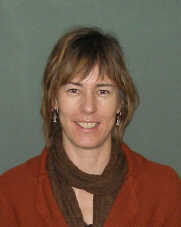 Kori joined The Nature Conservancy (TNC) in 2005. 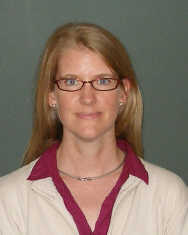 She was hired to facilitate the creation of vegetation dynamic models for thousands of ecosystems across the U.S. Kori earned undergraduate and graduate degrees in geography from Western Washington University's Huxley College of the Environment; graduate research investigated seasonal changes in fire behavior and effects in the dry forests of north central Washington. She worked as a GIS specialist at the Missoula Fire Sciences Lab and as a wildland firefighter in Washington and Colorado for the National Park Service (NPS) and U.S. Forest Service (USFS). Her current focus is helping users apply LF products and processes to help address land management and conservation challenges at a landscapes level. Kori lives in Bend, OR. 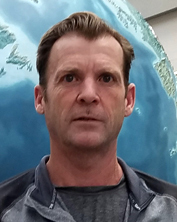 Paul is a GIS remote sensing analyst with KBRwyle, Technical Support Services Contractor (TSSC) to the U.S. Geological Survey (USGS) Earth Resources Observation and Science (EROS) Center. Paul received his B.A. degree in geography and anthropology from the University of Southern Maine and a Certificate in GIS. He is a native of Lewiston, Maine. 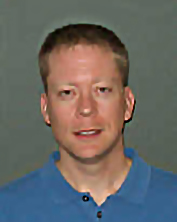 Paul joined the EROS Fire Science Team in December 2014. He currently works on processing LF disturbance data. Other projects Paul has worked on are listed below. 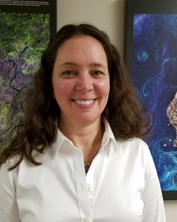 Karin is a remote sensing scientist with KBRwyle, Technical Support Services Contractor (TSSC) to the U.S. Geological Survey (USGS) Earth Resources Observation and Science (EROS) Center. She joined the LF program in 2017 and supports the 2015 Remap effort. Karin has an M.S. in GIS and remote sensing from Utah State University and a B.A. in geology with a minor in cartography from Kent State University. 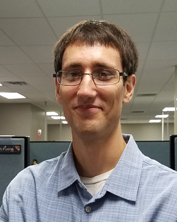 Jacob Casey is a GIS Spatial Data Technician with Innovate!, Technical Support Services Contract (TSSC) for the U.S. Geological Survey (USGS) Earth Resources Observation and Science (EROS) Center. He has a B.A in geography with an emphasis in GIS and a geology minor from the University of St. Thomas in St. Paul, MN. Jacob started with data management and science departments at EROS in 2011 prior to joining LF in 2017. Jacob enjoys playing/watching sports, any outdoor activities, and riding his Harley-Davidson Motorcycle. Joel is a geographer with KBRwyle, Technical Support Services Contractor (TSSC) to the U.S. Geological Survey (USGS) Earth Resources Observation and Science (EROS) Center. 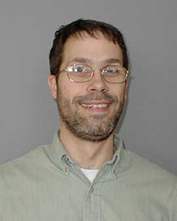 Joel joined the LF Program in 2009, providing disturbance mapping production support for LF 2008, LF 2010 and LF 2012. In addition, he was actively involved in the website redesign and served as a content filter for the Program website and other technical writing support. He currently provides technical coordination for the LF TSSC staff. Joel communicates regularly with the USGS LF Project Technical Lead to ensure Program requirements are met. In this free time he enjoys spending time with family and outdoor activities. Julia is a communications specialist with KBRwyle, Technical Support Services Contractor (TSSC) to the U.S. Geological Survey (USGS) Earth Resources Observation and Science (EROS) Center. She has been a contractor at the USGS EROS Center since 2000. Starting in customer service, Julia was a team lead for numerous projects including AmericaView, Commercial Data Acquisition and Management (CDAM), and Commercial Remote Sensing Space Policy (CRSSP) Imagery-Derived Requirements (CIDR) Entry Tool. She supported the communication and outreach activities for the Remote Sensing Technologies Project before accepting the task lead role for the EROS Communication and Outreach Project. Julia joined the LF Program in 2015. Ray is a senior software engineer with KBRwyle, Technical Support Services Contractor (TSSC) to the U.S. Geological Survey (USGS) Earth Resources Observation and Science (EROS) Center. 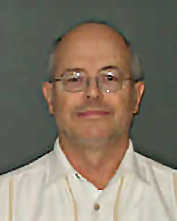 Ray has worked at EROS since 2005, and spent the majority of that time developing software for the LANDSAT and LDCM Image Assessment and Product Generation systems. He has experience supporting software for several science projects. An example of Ray's software support includes processing imagery from the ASTER instrument aboard the NASA's Terra satellite for the Land Processes Distributed Active Archive Center (LP DAAC). Prior to coming to EROS, he worked at Bell Communications Research for 14 years. Ray has a B.S. in computer science from Loyola University Maryland, a M.S. in computer science from Pennsylvania State University, and a M.C.I.S. in Communication and Information Studies from Rutgers University. He also completed course work toward a M.S. in space studies from the University of North Dakota, emphasizing image processing, remote sensing, and space science. Daryn is a vegetation scientist with KBRwyle, Technical Support Services Contract (TSSC) for the U.S. Geological Survey (USGS) Earth Resources Observation and Science (EROS) Center. He joined the LF Program in 2016 and supports vegetation mapping and classification. He divides his time between the LF team and supporting the Land Change Monitoring, Assessment, and Projection (LCMAP) initiative. 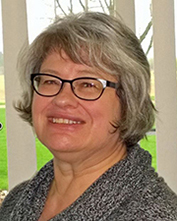 Daryn earned a bachelor’s degree in biology from Northwestern College in Iowa and a master's of environmental science degree from Taylor University in Indiana. He has a background in plant ecology and vegetation dynamics in response to disturbance. Before coming to EROS, he worked as an environmental consultant and brings experience with field studies in various parts of the country related to wetlands, vegetation, and species habitat; GIS data analysis and quality control; and ecological assessments. 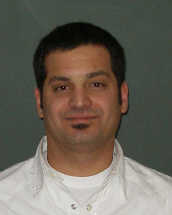 In his free time he enjoys jogging and spending time with his family. 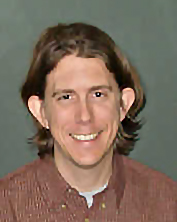 Todd is senior software engineer with KBRwyle, Technical Support Services Contractor (TSSC) to the U.S. Geological Survey (USGS) Earth Resources Observation and Science (EROS) Center. He has a M.S. 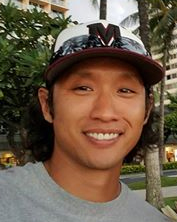 in information technology and has worked at EROS since he graduated from Dickinson State University in Dickinson, ND. Todd supports both the front and back-end software of the LF Data Distribution website. Susan is senior software engineer with KBRwyle, Technical Support Services Contractor (TSSC) to the U.S. Geological Survey (USGS) Earth Resources Observation and Science (EROS) Center. She has a B.S. 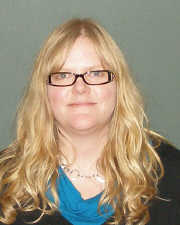 in mathematics and has worked at EROS since she graduated from South Dakota State University in 1993. 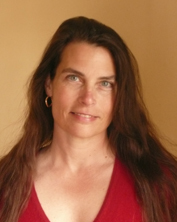 Susan helps design and create the website and data distribution site. She enjoys spending time with her family, hiking, and playing golf. Sarah has been with The Nature Conservancy (TNC) in varying capacities since starting as an intern with the Wisconsin chapter in 2005. Sarah's undergraduate studies at the University of Wisconsin earned her a bachelor's degree in wildlife ecology, as well as a certificate in environmental studies from the Gaylord Nelson Institute for Environmental Studies. Her graduate certificate in Geographic Information Systems was awarded from the University of Wisconsin. Sarah worked for the stewardship and land protection departments of the Wisconsin chapter of TNC until September of 2007 when she took a position as the GIS analyst for the TNC central region. Sarah divides her time between the Illinois chapter science team and the LF team. Her primary focus with LF is analyzing national datasets within various geographies across the continental United States. Sarah lives in Minneapolis, MN. Janet is a data specialist with United Support Services (USS), Technical Support Service Contract (TSSC) at the U.S. Geological Survey (USGS) Earth Resources Observation and Science (EROS) Center. She graduated from Southeast Technical Institute in data processing and subsequently specialized in digital data production at EROS. As a senior data analyst, she worked on numerous projects including the National Land Characterization Project (NALC), GEOREG, National Landsat Archive Production System (NLAPS), the GLOBE Project, CIPS support, and Monitoring Trends in Burn Severity Project (MTBS). Janet joined the LF Program in 2016 and currently works on the data distribution team. She enjoys spending time with her dogs and horses, outdoor activities, and helping on the farm. Heather is a senior scientist with KBRwyle, Technical Support Services Contractor (TSSC) to the U.S. Geological Survey (USGS) Earth Resources Observation and Science (EROS) Center. She has a M.A. in geography (2006) from the University of Montana and a B.S. in education (1993) from Northern Arizona University. Heather started with LF in 2004 and is the liaison between data team leads and distribution, and writes and filters content for the LF website. 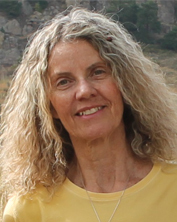 Previously, she taught K-8 for eight years and was a wildland forest fire fighter for four years, two of which were on the Bitterroot and Flagstaff Hotshots. 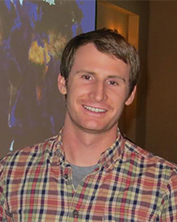 Tim is a remote sensing analyst with KBRwyle, Technical Support Services Contractor (TSSC) to the U.S. Geological Survey (USGS) Earth Resources Observation and Science (EROS) Center. He joined LANDFIRE in 2017. 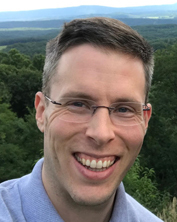 Tim's previous positions include working as a contractor with NASA's Goddard Space Flight Center (GSFC) Laser Remote Sensing Lab and internships at NASA DEVELOP at GSFC and USGS Reston. He has a M.S. in Geospatial Intelligence from George Mason University, Fairfax VA. and a B.A. in Physics from Bethel University, St. Paul MN. John is a senior systems engineer with KBRwyle, Technical Support Services Contractor (TSSC) to the U.S. Geological Survey (USGS) Earth Resources Observation and Science (EROS) Center. He has a B.S. in computer science from the University of South Dakota, and has worked at EROS for the past 32 years. John has spent the majority of his career at EROS supporting LANDSAT 5, 7, and 8 Image Assessment and Product Generation systems, along with the ASTER instrument aboard NASA's Terra satellite. Currently, he is providing engineering support to LF. In his free time he enjoys carpentry, volunteer handyman services and his nine grandchildren. Deborah is a member of the LF Reference Data Team with KBRwyle, Technical Support Services Contractor (TSSC) to the U.S. Geological Survey (USGS) Earth Resources Observation and Science (EROS) Center. She has a B.A. in international business and French from James Madison University in Virginia. 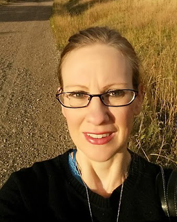 Deborah joined the LF Reference Data Team in 2004, producing and analyzing GIS and tabular data products, which support LF vegetation, fuel and disturbance mapping efforts. Prior to LF, she worked in the private sector and focused on quality control practices and database management. 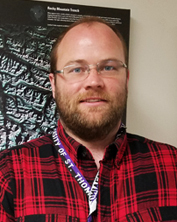 Jordan Long is a remote sensing scientist with KBRwyle, Technical Support Services Contractor (TSSC) to the U.S. Geological Survey (USGS) Earth Resources Observation and Science (EROS) Center. His primary focus with LF is remote sensing of vegetation mapping. 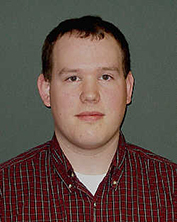 Jordan earned both his Bachelor of Science and Master of Science degrees from South Dakota State University and was awarded the NASA South Dakota Space Grant Consortium graduate fellowship and the USGS EROS graduate scholarship. In his free time, Jordan enjoys biking, running, swimming, rock climbing, hiking, and many more outdoor activities. 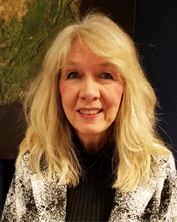 Brenda is the LF Reference Data Administrator with KBRwyle, Technical Support Services Contractor (TSSC) to the U.S. Geological Survey (USGS) Earth Resources Observation and Science (EROS) Center. She has a M.S. in plant and fire ecology from Western Washington University and a B.A. in environmental biology from Beloit College in Wisconsin. 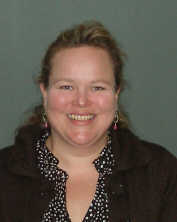 Brenda joined the LF Team in 2004, and is currently the Reference Data Team lead. She orchestrates the yearly data call, manages data contributions, and produces and analyzes GIS and tabular data products which support LF vegetation, fuel and disturbance mapping efforts. Prior to LF, she worked for the U.S. Forest Service (USFS), Missoula Fire Sciences Laboratory as a biological technician where she conducted field research investigating fire effects on invasive plant species. She has also worked for the USFS as a botanist for the Entiat Ranger District on the Okanogan-Wenatchee National Forest in Washington. Charley is the LF Fuels Team Lead with KBRwyle, Technical Support Services Contractor (TSSC) to the U.S. Geological Survey (USGS) Earth Resources Observation and Science (EROS) Center. He has been a member of the LF fuels production team for the past six years. His team is responsible for producing the fuels layers within the LF production system. This production primarily includes, coordinating with other internal production teams to ensure logic and spatial accuracy, coordinating with external partners for input and product accuracy, and quality control of the final fuel products. Charley holds degrees in geography and history from Southern Illinois University and has attended numerous graduate level classes in fire behavior science and ecology with Colorado State and Washington State Universities. He began his fire career on brush disposal and fire crew on the Willamette National Forest in 1981. James is a senior scientist with KBRwyle, Technical Support Services Contractor (TSSC) to the U.S. Geological Survey (USGS) Earth Resources Observation and Science (EROS) Center. He is responsible for producing fuels layers within the LF production system. This production process includes: coordinating with other LF production teams to insure logic and spatial accuracy, coordinating with external partners for input and product accuracy, and quality control of the final fuel products. Jeff is a senior scientist with KBRwyle, Technical Support Services Contractor (TSSC) to the U.S. Geological Survey (USGS) Earth Resources Observation and Science (EROS) Center. He works on LF vegetation mapping. 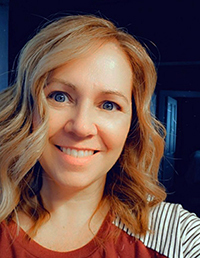 Jeannie earned Bachelor's and Master's degrees from the University of Northern Colorado and has enjoyed careers in journalism, feature writing, marketing and public relations, and, for ten years, teaching college English and literature. She is an award-winning author of 150+ newspaper and magazine articles ranging from skiing and outdoor sports to western ecology and social commentary. 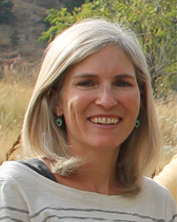 Jeannie provided administrative and communications support for three years at the Natural Resources Law Center at the University of Colorado just prior to joining TNC in 2004. She manages and writes for LF's internal and external websites, leads communications and outreach projects, and provides enthusiastic editing and administrative support. Jeannie lives in Boulder, CO.
Joshua Picotte is a fire specialist with Arctic Slope Regional Corporation (ASRC) Federal-InuTeq, Science Support Services Contract (SSSC) to the U.S. Geological Survey (USGS) Earth Resources Observation and Science (EROS) Center. 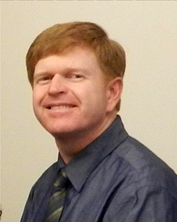 His primary projects include Monitoring Trends in Burn Severity (MTBS) and LF. Joshua is currently assisting in the automation of the MTBS fire identification and mapping procedures. Lucas is a science intern with Innovate! Technical Support Service Contract (TSSC) at the U.S. Geological Survey (USGS) Earth Resources Observation and Science (EROS) Center. His B.S. is in geography from South Dakota State University where he is currently enrolled in the graduate geography program. Lucas joined LF in 2017 and assists with remap production activities. Seff Propios is a remote sensing scientist with KBRwyle, Technical Support Service Contract (TSSC) at the U.S. Geological Survey (USGS) Earth Resources Observation and Science (EROS) Center. He works with vegetation mapping and the LF Data Reference Team. Seff began with USGS EROS as a physical science technician intern in June 2015, before transitioning to SGT, Inc. in July 2017. He holds B.S. degrees in geography and geoscience from the University of Montana (UM), along with a minor in mathematics and a GIS certificate. Seff is currently pursuing a geography M.S. degree at UM. A military veteran, he is a former U.S. Army infantryman, having served during the 2000 Toston-Maudlow Fire in Montana, in addition to a six-month deployment to Bosnia and Herzegovina in 2002. Sanath is a senior fire research scientist with the Arctic Slope Regional Corporation (ASRC) Federal Data Solutions, Science Support Services Contract (SSSC) to the U.S. Geological Survey (USGS) Earth Resources Observation and Science (EROS) Center. His research duties include developing remote sensing algorithms and advancing methodologies for Monitoring Trends in Burn Severity (MTBS) and LF applications. 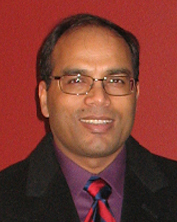 Sanath has a background in analytical physics and quantitative remote sensing. He earned a Ph.D. in Geospatial Sciences and Engineering from the South Dakota State University by developing novel methods for improved characterization of wildland fires. He continues to work on developing and advancing wildfire remote sensing methodologies. 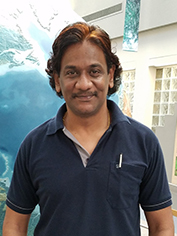 Ramesh Singh is the program manager with the ASRC Federal, InuTeq, under Science Support Services Contract (SSSC) with the U.S. Geological Survey (USGS) at the USGS Earth Resources Observation and Science (EROS) Center. 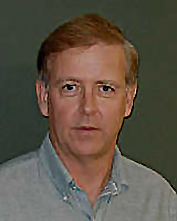 He has been involved in earth science remote sensing research and applications for over 18 years. Ramesh has a Ph.D. in biological systems engineering from the University of Nebraska-Lincoln, a master’s in water resources development and management from the Indian Institute of Technology, Kharagpur, and a bachelor's degree in agricultural engineering from Rajendra Agricultural University, Pusa. 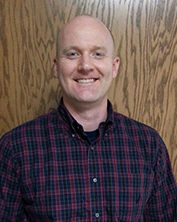 Tobin is a fire and fuels GIS specialist with KBRwyle, Technical Support Services Contractor (TSSC) to the U.S. Geological Survey (USGS) Earth Resources Observation and Science (EROS) Center. He works with the LF fire and fuels team. Previously, Tobin worked on a seasonal fire crew for the Helena National Forest, from 1995 to 1999. From 2000 to 2004 Tobin accepted a fire and fuel co-op position with the U.S. Forest Service (USFS) that started with Logan Hotshots Wasatch-Cache National Forests, and then became a forester and fuels specialist with Lolo National Forest. Tobin graduated in 2001 with a B.S. from the University of Montana in forestry. From 2004 through 2005 Tobin detailed at Lolo National Forest's supervisor office as a fire planner and USFS Region 1 office as a fire GIS specialist. From 2005 to present Tobin has worked for the Rocky Mountain Research Station (RMRS), Missoula Fire Science Lab as a fire and fuels GIS specialist, and the U.S. Fish and Wildlife Service (USFWS) Region 1 office as a fuel management specialist. 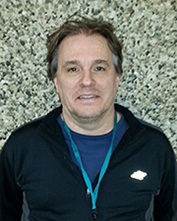 Roger is a Science Department Data Manager with Innovate!, Technical Support Services Contract (TSSC) to the U.S. Geological Survey (USGS) Earth Resources Observation and Science (EROS) Center. He received his B.S. in Earth Sciences - Land Use Planning from Montana State University. Roger has been working at EROS in the Data Management and Science Departments since 1997 and currently does Data Loading and Disturbance Mapping for the LF Project. Previous to his tenure at EROS he worked in Photogrammetry in Billings, MT, and in the Petroleum Service Industry in Casper, WY. He enjoys spending his free time with his family and his dogs. 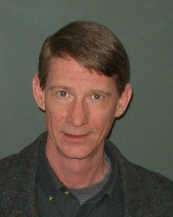 Randy joined The Nature Conservancy (TNC) Michigan chapter after receiving his B.S. and M.S. from Northern Arizona University in Flagstaff. His scientific specialties span spatial scales, ranging from community genetics to mycorrhizal ecology and landscape-scale planning. When employed as Michigan's Forest Ecologist, he worked with a variety of large landowners to promote sustainable management and was the Great Lakes LF modeling lead. 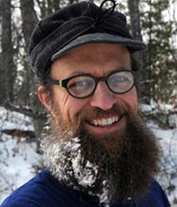 Additionally, he has worked to improve forest certification standards, participated in Conservation Area Planning, served on TNC's Conservancy's Forest Management Standard Operating Procedure team, participated in the Global Fire Assessment and directs workshops and seminars on the use of LF data and products. Randy works to develop vegetation models and to apply LF products within and outside of the Conservancy. Randy lives in Marquette, MI. Brian is a senior scientist with KBRwyle, Technical Support Services Contractor (TSSC) to the U.S. Geological Survey (USGS) Earth Resources Observation and Science (EROS) Center. He received his M.A. degree in geography from the University of Nebraska-Lincoln emphasizing remote sensing and GIS research and applications. Brian began his career at the Center for Advanced Land Management Information Technologies (CALMIT) in Lincoln, NE as a research coordinator. Towards the turn of the century he moved north to Sioux Falls, SD to work as a senior technical specialist with NASA's Land Processes Distributed Active Archive Center (LP DAAC) at USGS EROS Center. He joined the LF team in 2002 supporting a variety of land cover and disturbance mapping efforts and continues to serve in these capacities. In his free time Brian stays busy coaching youth sports, hunting, fishing, and golfing.